Hello and welcome to our practices of CHILD and General Neurology! In private practice since 1997, Dr. Brosgol and his staff treat PEDIATRIC NEUROLOGY patients and patients of other ages with a variety of neurologic conditions. 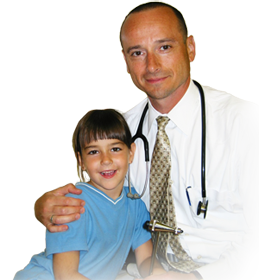 Dr. Yuri Brosgol is certified by the American Board of Psychiatry and Neurology (ABPN), with special qualifications in child neurology, and by The American Board of Clinical Neurophysiology. We provide state-of-the-art diagnosis and treatment using the latest innovations of neuroscience. Our practice serves Manhattan, Brooklyn, Staten Island, and the surrounding areas. "If I could give this place 10 stars I would! Very well organized office. Literally, the best child neurological services in the new york. Dr. Yuri Brosgol have been very friendly, personable, helpful and knowledge. Staff were professional, thorough and made sure to explain everything they do/ did before/ during/ after the procedures."